We would like to extend a warm welcome to our Plastic Surgery practice. The philosophy of our practice is based on commitment, dedication, and excellence. We understand that every patient is unique with individual concerns. Our aim is to focus our attention on your comprehensive needs as a patient, from your initial consultation to the operative procedure to your yearly follow-ups. Total confidentiality is a priority in our practice that will never be compromised. 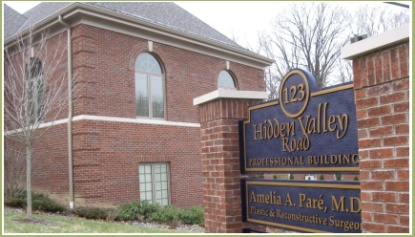 Dr. Amelia Paré is a board-certified Plastic Surgeon who comes from a distinguished and prestigious background. She finished her pre-medical studies along with obtaining a Chemistry degree from Harvard University. While at Harvard, she was a member of the varsity lightweight crew team. She has also traveled abroad to study at Oxford University in England. She has worked with Doctors Missions in Honduras. 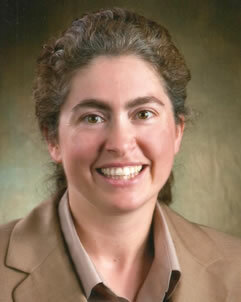 She attended medical school at Hahnemann University in Philadelphia. She followed this with five years of surgical training which culminated in serving as Chief Resident in General Surgery at St. Luke’s-Roosevelt Hospital Center, University Hospital of Columbia University College of Physicians in New York City. Dr. Paré did specialized training in Aesthetic, Plastic, and Reconstructive Surgery by spending two years at UCLA, where she also served as chief resident. Dr. Paré is board certified by the American Board of Plastic Surgery and a fellow of the American College of Surgeons. Dr. Paré specializes in facelifts, breast augmentation, tummy tucks, liposuction, and eyelid surgery. Dr. Paré also understands the importance of daily skin management and offers a wide spectrum of skin care programs. Dr. Paré is also skilled in chemical peels. This procedure is available through her office. 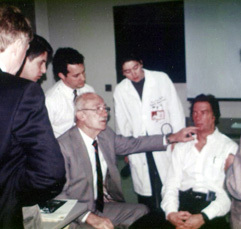 Dr. Paré with Dr. Tessier. Below is a list questions frequently asked by our patients. If you need more information or have a question not covered here, please feel free to contact the office at 724-941-8838. 1. What type of health insurance does the office accept? We accept all insurance except Gateway. Please bring your card(s) with you to all appointments. 2. In what hospitals does the doctor perform surgery? 4. How long does it usually take to get a routine appointment? 5. How much time does the doctor spend with patients? Cosmetic consultations are usually 45 minutes. Initial evaluations for lesions are usually 30 minutes. Office surgeries are usually 30 minutes. Suture removals are usually 10 minutes. 6. What is the office's cancellation policy? Cancellation notice must be provided at least 24 hours in advance. There is a $25 fee for no show appointments and a $100 fee for no show surgery appointments. 7. Is the office wheelchair accessible? Yes, we have handicap parking, no steps, and easy entry into the building, exam rooms, and restrooms. We also have a wheelchair available. 8. Can I complete necessary paperwork ahead of time? Yes, to complete necessary paperwork ahead of time, please go to our Forms tab. Please print out and complete the Patient Registration Packet. If you are being seen for a lesion, mole, cyst, or suspicious spot, please complete the Lesion Questionnaire as well. 9. How can I have my medical records sent to your office? Any medical records that need sent to our office can be done so by fax 724-941-8878.